Add coconut milk, frozen banana slices and coconut balsamic to your blender. Pulse 1-2 minutes until smooth. Add frozen raspberries and continue to pulse until smooth. 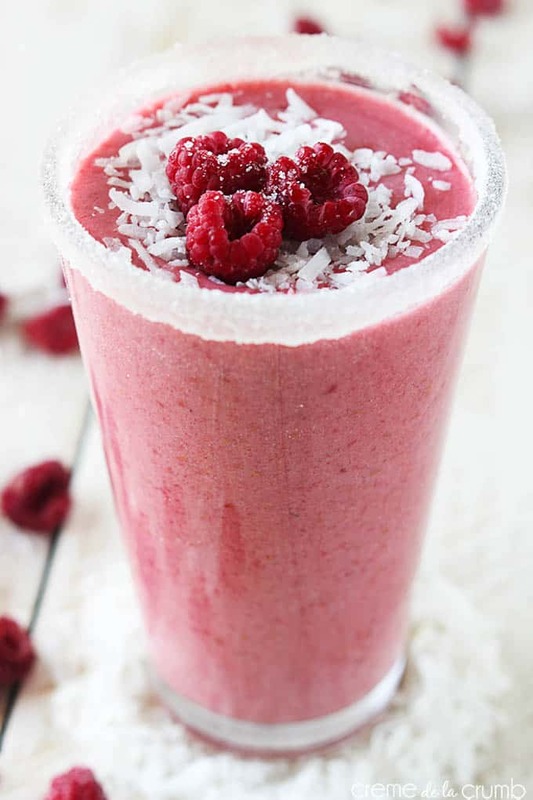 Pour into serving glass, top with a couple of raspberries and a little shredded coconut, and enjoy!